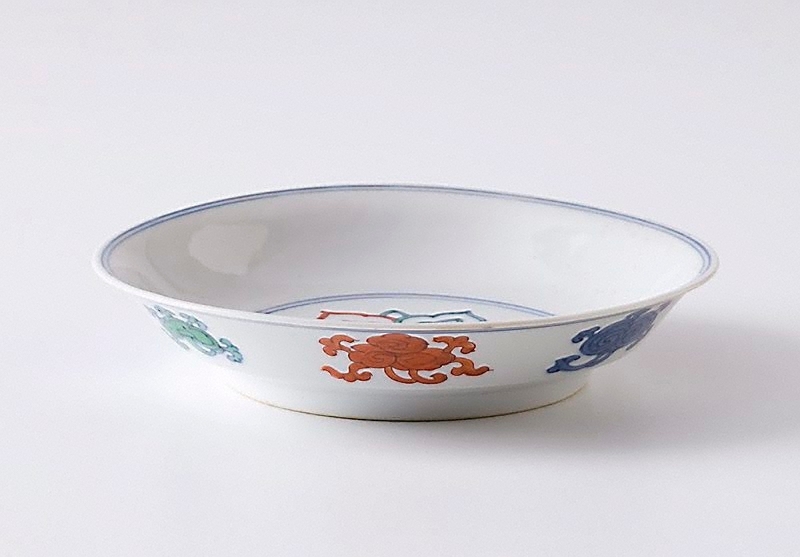 Judging by its quality, this small dish, with a delicately executed 'doucai' design of interlocking 'ruyi' lappets, was probably made early in the reign before standards declined as the Ming court was distracted by growing political and social problems. It is a direct copy of a Chenghua prototype. The Asian Collections, AGNSW, 2003, pg.118.